This home has so much to offer in the award winning Milford School District. This 4 bedroom homes has great curb appeal with is stone and siding front and bay window. The living room toward the back of the home is open to a sun-room with a two way gas fireplace, viewable from either room giving quite the ambiance. There is also an enclosed porch and a deck just out off the porch...a perfect place for the grill and gatherings. 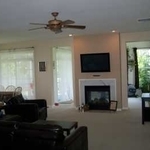 In addition there is an enormous finished basement hosting the large family room, and 4th bedroom with full bath. Appliances, irrigation, and a large 2 car garage are included in this wonder home. 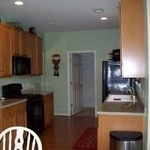 This property is managed by a licensed Delaware realtor. All contact is with realtors in Delaware. Call today to schedule your viewing of this fabulous home.